2018 Championship to be hosted in Charlotte, NC with coinciding relief efforts for Hurricane Florence victims. · Mecklenburg County Sportsplex @ Matthews in Charlotte, NC to host 2018 Championship Weekend; December 1-2. · USA Rugby in association with Rugby Relief will be raising funds for rugby community affected by Hurricane Florence. 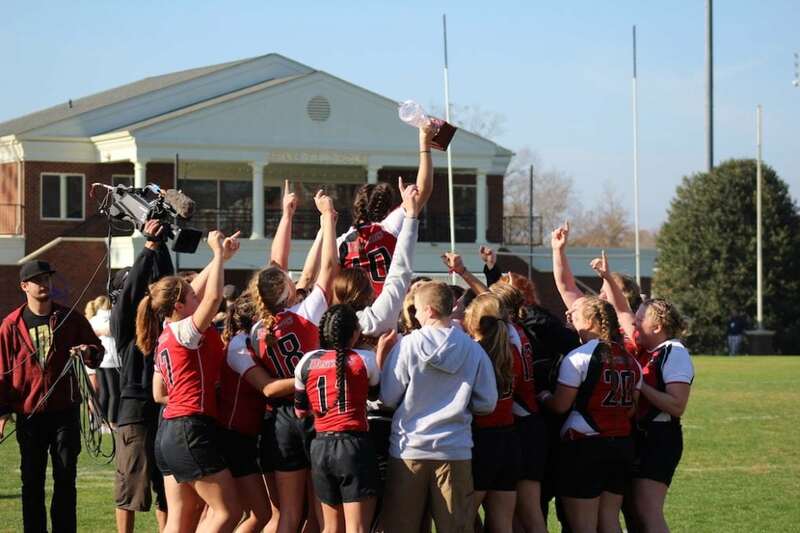 LAFAYETTE, CO - USA Rugby has announced locations and dates for 2018 Fall College Championships and Men's D2 National Championship Series. Vassar College, Scott Boulevard Fields, East Carolina University, and Mount St. Mary's University will host playoff rounds on the weekend of November 17-18; While the Championships will be held at the Mecklenburg County Sportsplex @ Matthews in Charlotte, North Carolina, December 1-2. With the Championships hosted in North Carolina, USA Rugby is working with Carolinas Geographic Union and Rugby Relief, to explore ways of supporting the effected rugby community in the area. Further information regarding relief efforts will be released shortly.